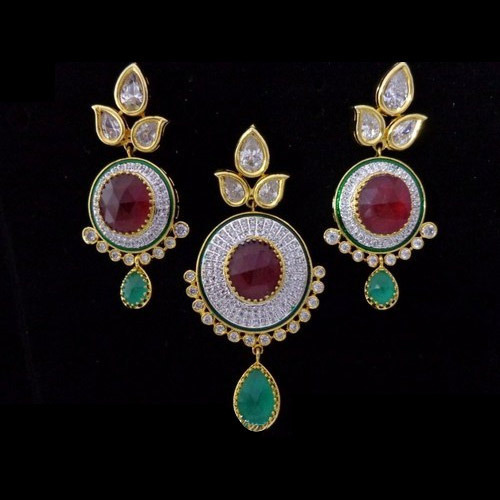 To satisfy changing client tastes we are engaged in manufacturing CZ Pendant Set. Our expertcraftsmen use modern technology to create the most eye-catching designs. Adding a dash of colours with the help of colourful stones, all our creations are attractive and trendy. With a huge market abroad we ensure that we never compromise on quality. Reasonably priced these can be paired with any outfit. Clients can also customize as per their needs and receive their order on time.